Corinne’s life might look perfect on the outside, but after three failed IVF attempts it’s her last chance to have a baby. And when she finds a tiny part of a doll house outside her flat, it feels as if it’s a sign. But as more pieces begin to turn up, Corinne realises that they are far too familiar. How does the stranger know so much about her life? How long have they been watching? And what are they waiting for…? 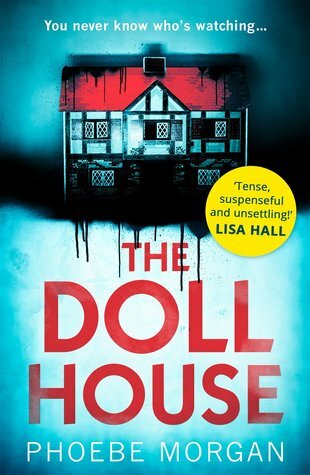 The Doll House completely took me by surprise, its creepy - oh so creepy and unsettling and thats everything a good thriller should be. 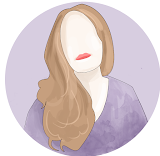 We meet Corinne who looks like she has the perfect life, a big family but after failed IVF attempts - this is her last shot, its everything she wants but her boyfriend thinks she is loosing her grip. When little bits of the Doll House she had as a child keep turning up (and vanishing) no one really beileves her and thinks its the toll of the IVF. Ashley has 3 children, a busy house & a loving husband. However - again, from the outside everything looks perfect, but with a husband staying out later and later. A little baby that will not settle, and a daughter who is changing in front of her eyes. She really doesnt have interest in the little doll house pieces. Two sisters who are fighting their own lives, and dealing with the overwhelming grief of their dads death, with the anniversary drawing closer - its almost like life is throwing some major challenges at them, but its not life - its someone. The dollhouse is slightly terrifying, odd and like i mentioned creepy. It is all written and told brilliantly - i thought i had it all worked out and sat quite smugly having got the answers to realise a few pages later that i didnt. For the most parts the characters were well written, i mean sometimes i got frustrated with them, espeically Corinne as i just wanted her to take action, but when you are scared its not that simple and i think i had to remind myself of that. This was a wonderful read and i ended up staying up way past bedtime to finish it, i also made myself unsettled and edgy and really struggled to sleep as the narrative stuck with me.